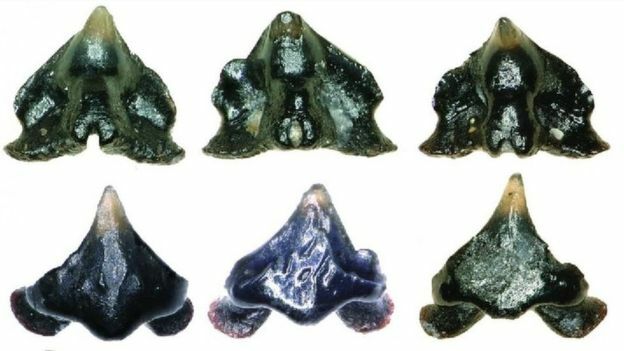 A newly discovered prehistoric shark has been named after 1980s arcade game Galaga, because of the similarity between its teeth and the spaceships that the player controlled to defend Earth from the oncoming alien hordes. The Galagadonwas discovered in what is now South Dakota, and would have been active in the rivers in the area around 67 million years ago; roughly in the same time period and neck of the woods that the Tyrannosaurus Rex was roaming the planet. The first fossilized tooth was found by volunteer Karen Nordquist at the University of Chicago, during what was routine work done sifting trough debris that had been found around one of the most famous fossils of all time: “Sue” the T-Rex. 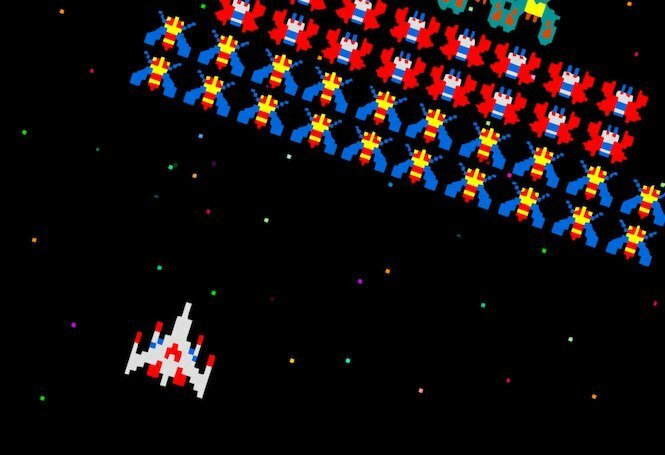 The teeth are no larger than the size of a pinhead, but anyone that spent any amount of time in front of the brightly coloured cabinet can immediately recognize the distinctive shape of the white and red starfighter mirrored in the teeth. The below images have been magnified substantially using a microscope. 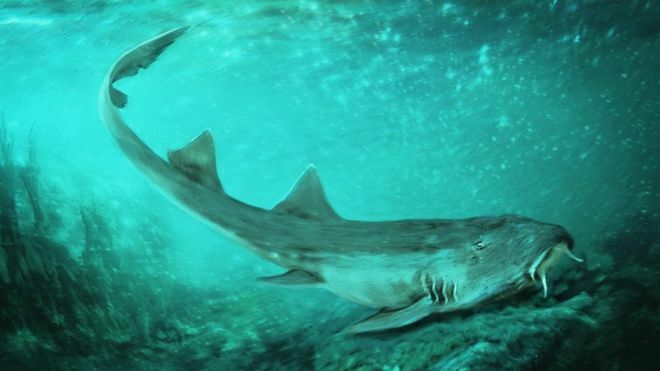 The discovery was published in the Journal of Paleontology by Dr. Terry Gates who noted that the shark — fully named Galagadon nordquistae — wasn’t the terror of its more well-known contemporaries. I’d love to see some more discoveries named after video games in the future, whether those are prehistoric creatures or the ones that scientists continue to discover in the depths of the sea and rainforests. One can only imagine there are things lurking beneath the waves that would make even the likes of Leon Kennedy or Isaac Clarke second guess their mission.